Climate change impacts are posing the need to redefine the way in which we understand and approach development challenges. Ensuring food security amidst a changing climate is at the top of developing countries agendas. But most importantly and palpably, is a matter of survival for the millions of farmers, fishers, herders and foresters whose livelihoods are highly vulnerable to the occurrence of extreme events, changing temperatures and unpredictable seasonality, among other stressors. Within resource-dependant contexts affected by more frequent and intense climatic manifestations, redefining the approach to food security involves embracing the notions of change and transformation. This includes the adoption of ‘climate-smart’ practices (1), the use of emerging tools and technologies, and in some cases, the return to ancestral or indigenous customs to better prepare for, withstand and recover from climatic impacts. Above all, it involves identifying new ways of solving problems, of making decisions, of accessing and processing information, and of applying knowledge to agricultural practices in order to achieve more resilient production systems. Emerging experiences from the field suggest that Information and Communication Technologies (ICTs) are playing an increasing role as enablers of change and transformation within vulnerable contexts. Mobile phones, radio, Internet-based applications and social media are being integrated as part of strategies to adapt to, mitigate, and monitor climate change, especially within agricultural communities. How can we ‘connect the dots’ between ICTs, food security and resilience? Radio programs can be an effective tool in remote rural areas for the dissemination of knowledge and information on improved land management practices (e.g. improvement of soil fertility and structure). 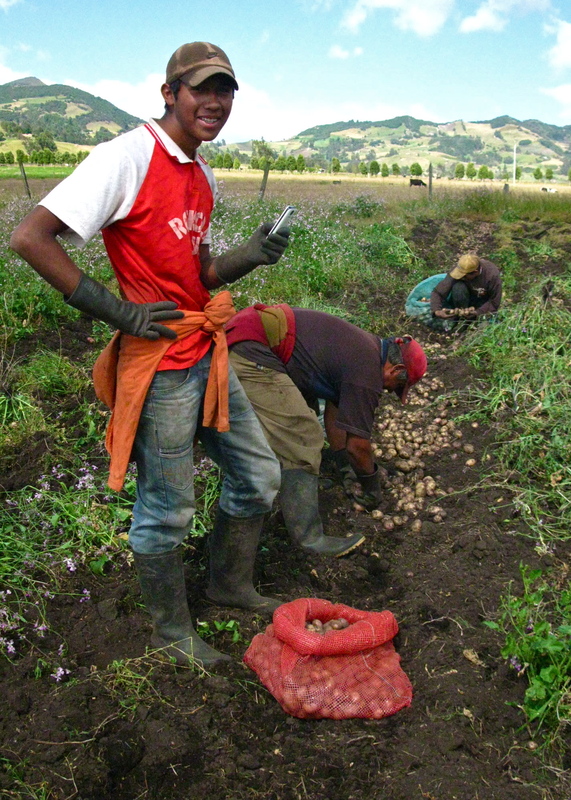 Mobile phone text messages (SMS) can be sent to farmers in support of integrated nutrient management programmes (e.g. sending SMS reminders on when to apply fertilizers). Internet-based applications (e.g. remote sensing, GIS, climate change models, data mapping) can be used in support of agricultural planning, helping farmers to allocate resources more effectively and reduce risks. Participatory videos can allow communities to document their experiences using traditional and new seed varieties under changing climatic conditions, to share lessons learned and to foster appropriate crop selection (e.g. drought/floor or saline tolerant). ICTs can help to raise awareness raising and create new capacities on improved land management practices, which can translate into production benefits (e.g. higher crop yields). ICTs can facilitate continuous monitoring and support from experts in the implementation of agricultural practices, including precision farming. ICTs can help to reduce uncertainties generated by climate change through relevant information that, if presented in appropriate formats and in adequate scales, can inform farmers’ decision-making. ICTs can foster crop diversification by helping to document and share traditional knowledge and experiences with resilient seed varieties. Videoconferences with experts, held in community access centers (e.g. Telecentres) can facilitate the access to information, knowledge and technical advice without having to travel to other villages or towns. This includes video and e-mail-based consultations on improved feeding and nutrition practices, animal health control and grassland management practices under changing climatic conditions. ICTs can facilitate access to expert technical advice to complement local knowledge and point livestock owners to alternative practices, contributing to animal productivity under situations of climate stress (e.g. providing advice on genetics and reproduction, grazing schedules or supplements for poor quality forages). Internet and community radio can be used to create awareness and provide access to content on fisheries codes (e.g. code of conduct for responsible fisheries) and regulations, as well as information on aquaculture management in different climatic conditions (e.g. feeding practices, selection of stock). ICTs can enable access to user-friendly (e.g. using local languages, images and sound) regulatory content (e.g. policies, rights and obligations) that can help inform decision making and management approaches, having an impact on fish productivity and sustainability. Mobile technologies (e.g. smart phones and PDAs), Web 2.0 and social media applications (e.g. Facebook and Twitter) can be used to collect and disseminate information on the use of trees and shrubs in agricultural farming systems (e.g. sharing advantages of growing multipurpose trees, alternatives of plantation/crop combinations, the use of live fences and fodder banks in contexts affected by climatic variability). ICTs can help to motivate stakeholders towards the adoption of agroforestry practices to increase farm incomes and diversify production. ICTs can also help to gather and mobilise stakeholders for local conservation actions. tackling issues of access and connectivity in remote rural areas, in order to ensure that developing country farmers, fishers, herders and foresters have access to a diverse range of ICTs services. There is an important body of traditional knowledge and emerging adaptation and mitigation experiences that developing country communities can share and disseminate with the help of ICT tools. But making information available is not enough. The main challenge for ICTs in regards to food security goes beyond the provision of information. 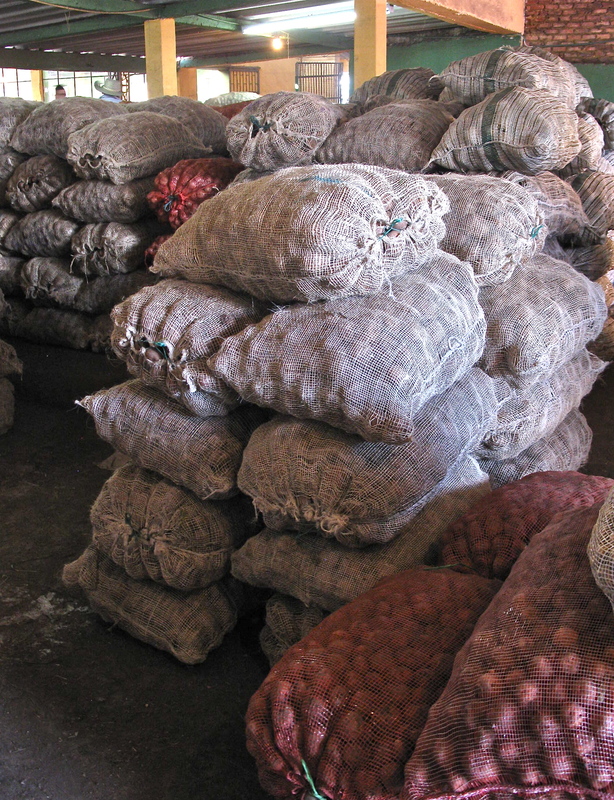 It lays in ensuring that the knowledge and information that are made available actually reach the appropriate stakeholders, that they are appropriated by local audiences, and most importantly, that agricultural producers are able to apply it or act upon it in order to strengthen their livelihoods. Ultimately, ICT-enabled information and knowledge should contribute to inform the decision-making processes of local actors, to strengthen their capacity to deal with uncertainty, and to build new bridges of collaboration and exchange towards more resilient, food-secure agricultural systems.